Excited about Abraham Hicks and the Law of Attraction? Here's a bunch of info that will indulge you for hours...including my Hot Seat Experience! You'll also find Abraham quotes, books, teachings, and publications and learn more about the wonderful people who bring us Abraham - Esther and Jerry Hicks. Click for a complete audio Introduction to Abraham. Abraham are a community of Non-Physical beings described as Source Energy. Human beings are physical extensions of this Source Energy. They "speak" via Esther Hicks from the Non-Physical dimension. They don't actually use words, they communicate through the language of vibration. Their intention is to remind us of the Universal Laws. While Source Energy communicates with us at many levels of our awareness, we will only receive what we are now ready to receive. They assist us in consciously returning to the knowledge of who we really are. There is nothing that we cannot be, do, or have. We are eternal consciousness that have chosen this physical time / space reality to specifically focus and create. We can do this by consciously choosing the direction of our thoughts. Our emotional guidance system (feelings) will always let us know where we are headed. If we feel good, things that we deem to be good are on their way to us. Conversely, if we feel bad, things that we deem to be bad are on their way to us. This is the way life works. You and Source (also known as God, Allah, the Universe, Soul, Spirit) are the same. You cannot be separated. Click for a video series which is at the heart of these teachings. Even if you've only been listening to Abraham for a short time you're probably familiar with the term hot seat. It's the affectionate name they use to call the seat that a person sits in to ask their questions at an Abraham Hicks workshop. I was fortunate enough to have this experience on the Gold Coast in Australia on March 21, 2013. It was magnificent and although the feeling of exhilaration I felt will subside, the ability to tap into it again and again and again will never leave me. I will preface this audio by saying it is about hearing voices. Before you flee...I understand better than most, that our society views those that hear voices as though they have a mental illness. I am sure there are people who hear debilitating, critical messages or voices in their head that no one else can hear and that this can be a very distressing, uncontrollable condition. I sympathize and my heart goes out to those that are on this path because I imagine some circumstances may be extremely frightening. I do not have expertise in this field. I know very little about it other than the way society has labeled it. I am not here to offer any advice. I can only speak about my experience. Fortunately, I feel very comforted and at peace when I hear the messages that come from a place where only love can live. Click on the MP3 download image to listen. Are my Childhood Voices Trying to Communicate Now? This runs for approx. 5 minutes. In this 5 minute video, the question is answered about "what realm" Abraham comes from, and they also explain who they are. Esther calls them "infinite intelligence," and to Jerry they are "the purest form of love I've ever experienced." They say of themselves, "We are that which you are. You are the leading edge of that which we are. We are that which is at the heart of all religions." Esther Hicks (born Esther Weaver in Coalville, Utah in 1948) is an inspirational speaker and author. Esther is the willing portal that Abraham communicates with and through. 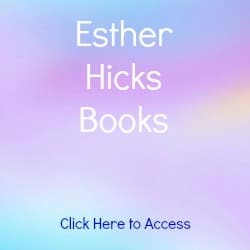 If you're looking for one of Esther's books that speaks specifically about Abraham Hicks and the law of attraction you can't go past The Law of Attraction: The Basics of the Teachings of Abraham. Beginning in 1987 with her husband Jerry Hicks, Esther continues to present Law of Attraction workshops for Abraham Hicks Publications in up to 60 cities per year. Jerry Hicks was born on June 22, 1927 and died on November 19, 2011. It could be argued that Abraham came forth because of Jerry. Jerry had a list of questions a mile long about anything and everything you could think of. He also had a desire to assist others in achieving their life goals. Prior to his transition into the nonphysical in late 2011, Jerry could be seen right alongside Esther (and Abraham) at every workshop they presented. 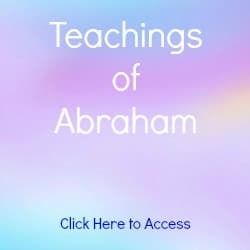 It is very evident in the information that is coming forth from Abraham since Jerry's death, that Jerry is more than ever a very strong presence at these seminars. Jerry was the beautiful soul that tirelessly carved out the Abraham Hicks literature we have access to today. 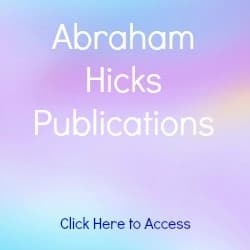 You can learn more about Abraham Hicks on the official website or through their publications, books and quotes.